The goal of the Canyon Movement Analysis and Performance (CMAP) program is to utilize the latest video motion analysis technology to assess and analyze movement impairments and dysfunction. This will help clients to reduce risk and prevent injury as well as enhance performance and function from daily activities to athletic endeavors. What is Video Motion Analysis and how can it help you? Video analysis is the use of high-speed digital video to analyze an individual’s movement patterns, joint bio mechanics, and functional performance in activities such as walking, running, throwing, lifting, sport specific movements(i.e. jumping, cutting, decelerating…), Olympic lifts, cycling and swinging a club or bat. This tool is useful in identifying movement dysfunctions that are not easily diagnosed using visual observation. 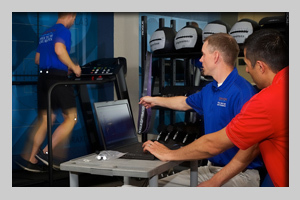 Physical Therapists are uniquely qualified to perform motion analysis due to their understanding of the underlying changes in muscle and joint function that lead to altered mechanics. 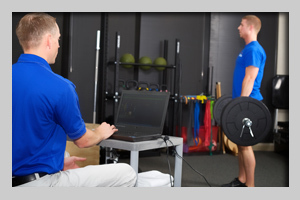 By combining a detailed history, physical assessment (range of motion and strength testing) with computerized video analysis, your Canyon Physical Therapist Aquatic Rehabilitation Physical Therapist can provide you with a complete understanding of how your body is functioning. Video analysis also offers instant feedback to help all levels of exercise enthusiasts correct their posture or modify their technique. Once the analysis has been completed your Canyon Physical Therapist Aquatic Rehabilitation Physical Therapist will provide you with an individualized report of their assessment as well as a plan of action to address the findings of your analysis, including a therapeutic or performance enhancement exercise program and treatment plan. What to expect during your video analysis session. Thorough history, detailing past injuries and current concerns and goals. Physical assessment, postural alignment, strength testing, flexibility, range of motion measurements and functional movement testing. Individualized instruction and recommendations based on initial findings. Detailed analysis and recommendations may take an additional visit to allow time for complete assessment of findings.